Big savings! 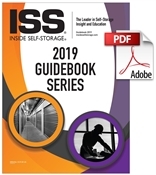 The Inside Self-Storage 2019 Guidebook Series contains both publications at a discount of more than $20. Get detailed insight on building, investing, ownership, management and more. Big savings! The Inside Self-Storage 2019 Guidebook Series contains both publications at a discount of more than 20 percent. Get detailed insight on building, investing, ownership, management and more. Big savings! 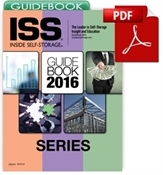 The Inside Self-Storage 2016 Guidebook Series contains all three publications at a discount of more than 15 percent. Get detailed insight on building, investing, ownership, management and more. Big savings! 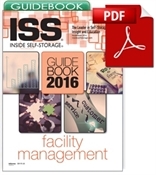 The Inside Self-Storage 2016 Guidebook Series contains all three publications at a discount of more than 20 percent. Get detailed insight on building, investing, ownership, management and more. This Guidebook addresses key aspects of a self-storage manager’s duties and provides insight to sales, legal issues, money management, marketing, maintenance, career development, security and much more.